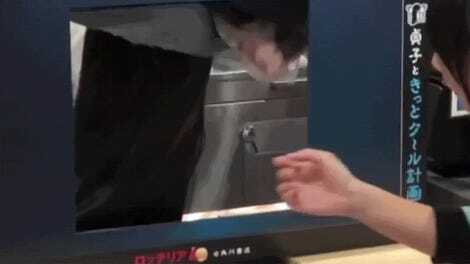 In Japan, fast food restaurant Lotteria is rolling out two cheesy burgers, providing patrons with measures for them to see just how long the mozzarella stretches. These are very cheesy burgers! 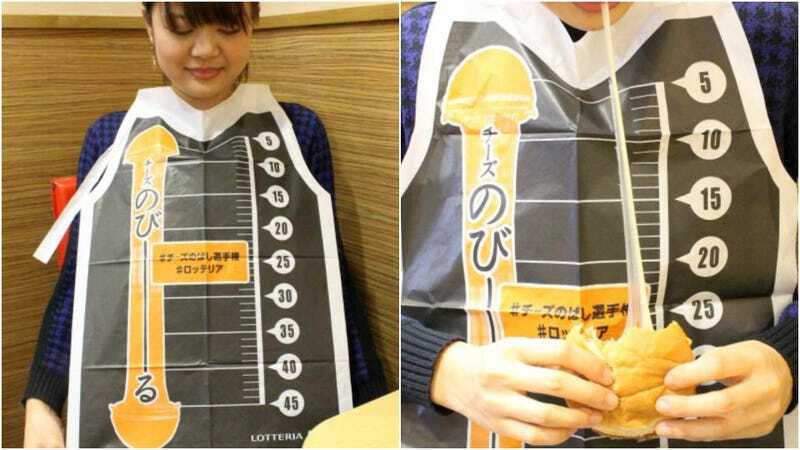 Hence the aprons to measure the stringy cheese! Lotteria is one of the more interesting fastfood restaurants around, previously offering chewing gum shakes, chocolate sauce for fries, and horrible-looking burger towers. These cheesy burgers will be on sale in Japan until April 5. For more, check out Entabe and Gigazine.